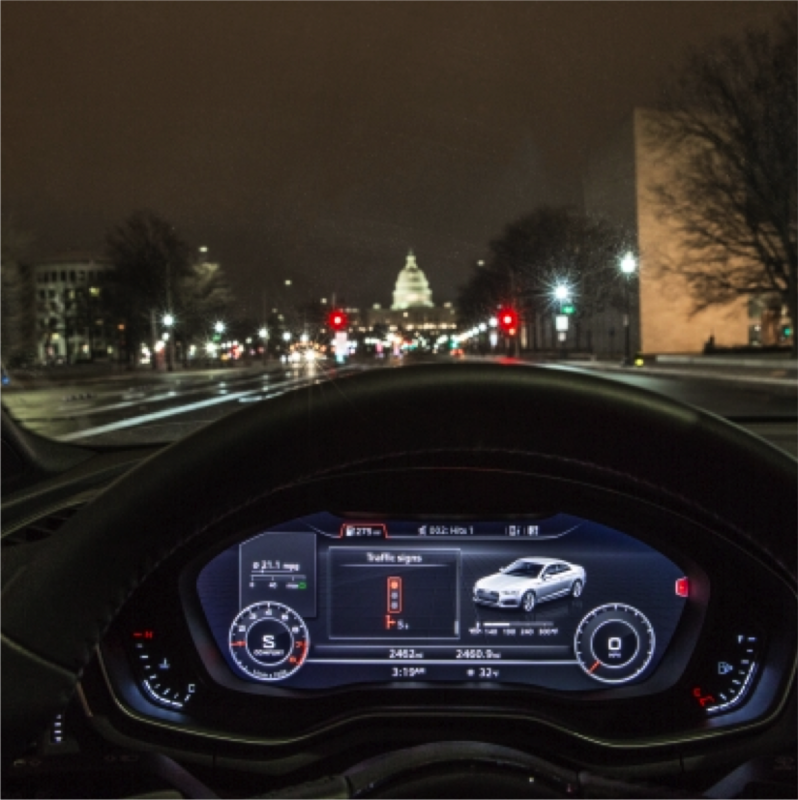 Audi of America has announced that more than 600 intersections in the District of Columbia are connected to its “time-to-green” traffic light information feature. Traffic Light Information, an Audi connect PRIME feature available on select 2017 and 2018 models, enables the car to communicate with the infrastructure in certain cities and metropolitan areas across the US. In 2016, Traffic Light Information was launched in Las Vegas, Nevada. Audi, in collaboration with Traffic Technology Services (TTS), has brought the service to six other cities including areas of Dallas and Houston, Palo Alto and Arcadia, California, Portland, Oregon and Denver. With the addition of Washington, more than 1,600 intersections across the U.S. support Traffic Light Information. Future iterations of V2I technology could include integration within the vehicle’s start/stop function, Green Light Optimized Speed Advisory (GLOSA), optimized navigation routing and other predictive services. All of these services are designed to help reduce congestion and enhance mobility on crowded roadways.